Interested in joining the Symphony team? Take a look at our current job postings below. 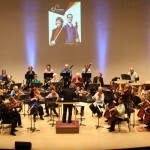 Symphony Nova Scotia is Nova Scotia’s orchestra. Each year more than 50,000 audience members (including 15,000 young music lovers) join us in communities across Nova Scotia for performances of the music they love – from baroque and classical to pop and rock and folk. Under the inspirational leadership of Music Director Laureate Bernhard Gueller, Symphony Nova Scotia is one of the most broadcast orchestras in the country, with over 20 commercial releases and multiple East Coast Music Awards. The Symphony has enjoyed record ticket sales over the past several years, as well as salary increases and improvements to the health benefits plan for orchestra members as part of our five-year collective agreement. View our strategic plan here. With a population of 400,000, Halifax is the capital city of the province of Nova Scotia, Canada. 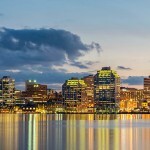 It is a major economic centre in Eastern Canada, with a large concentration of government services and private sector companies. Major employers and economic generators include the Department of National Defence, Dalhousie University, the Halifax Shipyard, various levels of government, and the Port of Halifax. Agriculture, fishing, mining, forestry, and natural gas extraction are major resource industries found in the rural areas of the municipality. The urban centre has seen an upturn in development over recent years, in part due to the international recognition garnered by the award-winning Halifax Central Library in the heart of the downtown. "Working with Symphony Nova Scotia is one of the highlights of my musical year!" There are currently no administrative staff positions available. If you are interested in singing with the Symphony Nova Scotia Chorus, please contact the Chorus Master for an audition. For further information, please email Jeff Joudrey at jeffjoudrey@gmail.com.